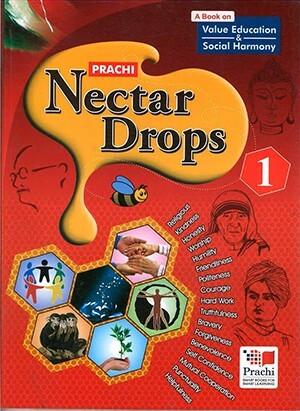 Prachi Nectar Drops For Class 1 – A book on Value Education & Social Harmony. The Nectar Drops will help the children to develop the spirit of social and national integration, with the right understanding. The Nectar Drops will also help the children in developing right understanding through real life experience.